Although it is very expensive, Rome has made it’s way onto my list of favourite cities. I initially planned only 2 nights in the city but ended up extending the trip to 6 nights on arrival, and 1 night on departure. Take a journey back in time and visit many of the ancient ruins or keep up with the present by visiting the modern day sites. Roma Termini – They say that “all roads lead to Rome”. I would extend that and say they lead to Roma Termini, the beautiful central train station which is also a little shopping mall with many stores and restaurants. For fans of Roman Baroque architecture walk up Piazza di Spagna (worlds widest and tallest staircase). Pizza, Pizza, Pizza! On almost all streets you will have multiple options to try out various varieties of pizza. These pizzas are not too cheesy or saucy. I hear they bake them differently in the south (e.g. Naples) which I look forward to trying out when I am there. There is also a nice supermarket under Roma Termini where you can purchase fruits, yogurt, bottled water or other snacks. I prayed at the Mosque of Rome, Europe’s largest mosque which requires train travel from Roma Termini (see separate blog post here) and a smaller Bangladeshi mosque (filled to capacity for Juma) in Trattoria, a few minutes walk from Roma Termini. I understand that there are 2 mosques in Trattoria. I found a nice International Bookshop (which means they have books in English and other languages) on Via Vittorio Emanuele Orlando called Feltrinelli International (it’s next to the Italian-only book store). There is also another International Bookstore inside Roma Termini, but I preferred the selection at La Feltrinelli. This place is on the street alongside the right of the Galleria at Republica (near Roma Termini). 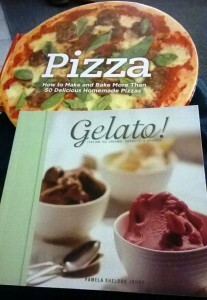 I got 2 good books written in English on how to make Pizza and Gelato the Italian way. From Roma Termini (track 1 side) run down Via Marghera, after 4 blocks turn left on Via Palestro, and after about 5 blocks turn right onto Via Nomentana which is a large street with a nice sidewalk that will take you to Park Villa Torlonia (used to be Mussolini’s Villa), and then turn back. This route should take about 45min. There are 2 fountains with spring water on the route. Besides the main tourist attractions, there are many other activities taking place daily. Check the events in Rome on Couschsurfing.org or just Google “Rome Events”. You can also hire a bike and tour the city on wheels. Getting around the city, and to other parts of Italy / Europe is very easy from Rome. There are 2 major tourist airports: The is Rome Fiumicino (Leonardo Da Vinci) airport (mostly for international flights) and Rome Ciampino (mostly for domestic / local flights). I used Fiumicino. Getting from Fiumicino to Roma Termini and back is easy. You can take the 30 min Leonardo Express train (for 14 Euros or cheaper if you buy it on special /earlier), the 70 minute Regional train, or by comfortable bus for 6 Euros (it took me 50 minutes in Friday evening traffic). The train system is pretty easy to use as well. At Roma Termini you can get the fast trains on the ground level and Metro A and Metro B subway lines on the underground levels – these Metro’s connect with other train lines in Rome. Remember to validate your tickets on the train if there is no machine at the station to validate it. Metro tickets cost EUR 1.50 for 100 minutes of travel or 6 EUR for an all day pass. Thanks for the useful info on mosques and halaal food, Zaid. I’m planning to travel that way soon and it will come in handy. Great. Hope you enjoy it there. 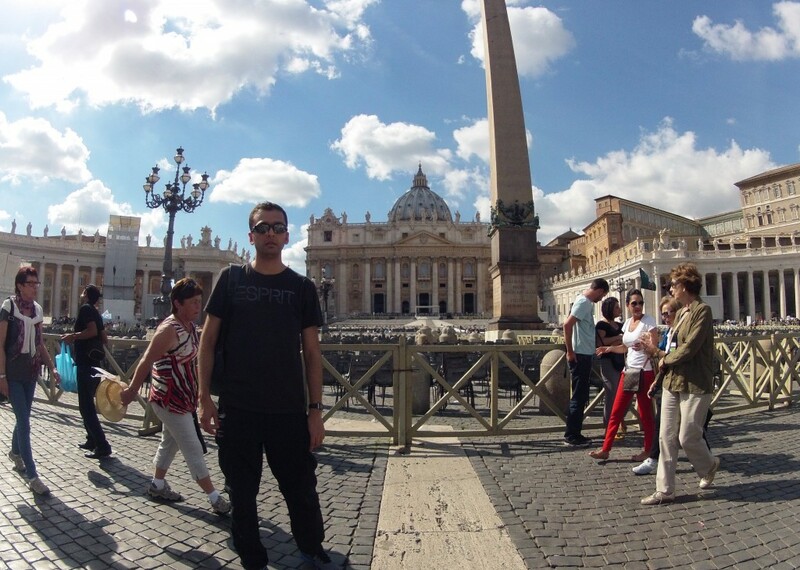 I also plan to stop in Rome for a day next month – that city draws you back. I guess, all roads truly lead to Rome. Jazakallah for all the info. I will inshallah be going there in March this year. Glad to hear about the mosque for jumah. I checked out the info of the Grand Mosque.I am hiring a car for the 3 day stay in Rome before I leave for Florence and Venice. I don’t think it’s really necessary to hire a car. Train travel is very cheap and efficient. The taxi in Rome and Florence are also ceap, and finding parking spots is not too easy. Both outlet centers have buses near the train station that transport you directly to the shops. There’s also Castle Romano in Rome (by McArthur Glen) but I never visit it. I got some good deals at Hugo Boss, Armani Jeans & Emporio Armani, and Prada (brands I’d never be able to afford in SA). Salaams. Thanks for the feedback. I’m not sure about the pork fat. First time I heard about that. I did try the pizzas though, although the pizza in Florence is REALLY bad. Many friends tried it and agreed. I know that in Naples the state has strict guidelines on what ingredients go into a Napoli pizza and I’d never seen any pork related ingredients in it.